Police are investigating a string of break ins to five work vans parked along the same road. The thefts are said to have happened in the early hours of Monday morning or late Sunday night on Old fen Lane, Scrub Hill, near Coningsby. Five vans were targeted, some thought to have been accessed using a ‘cloned’ Transit van key, although others suffered damage to doors and locks to gain entry. 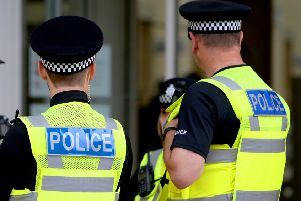 A selection of power tools were taken in the process until a neighbour heard activity outside and confronted and chased off two men in a silver VW Golf. People are warned to report to police if offered tools for sale which may include a Stihl leaf blower/vac, a Husqvarna hedge cutter, Ryobi long reach hedge cutter or Ryobi strimmer taken from one work van. A drum of diesel was also stolen from a van. Anyone with information should contact Lincolnshire Police on 101.